Add a splash of colour to your decor with these colourful vases. 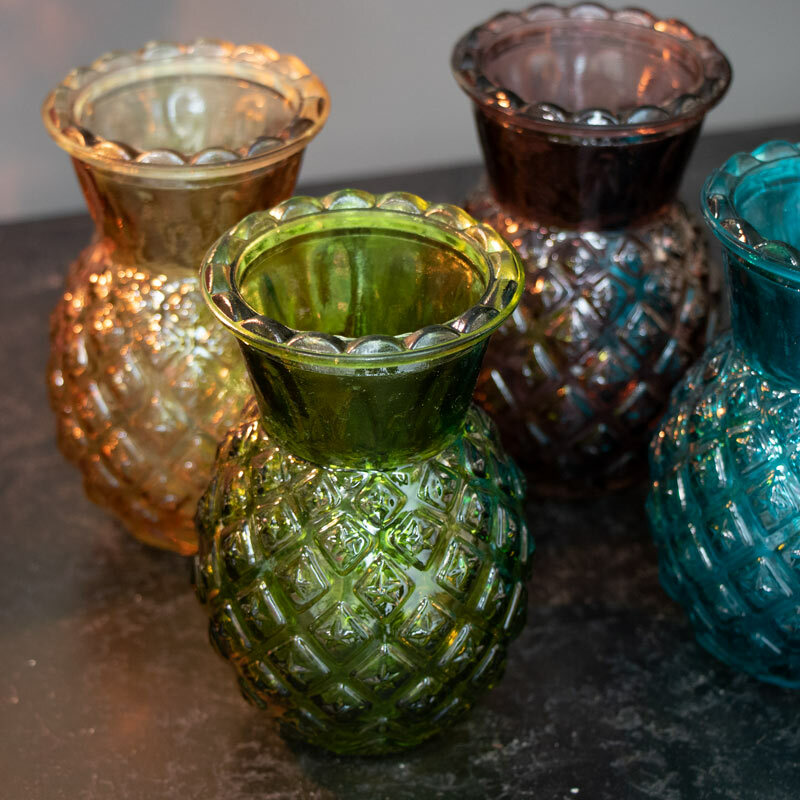 Four pretty colours with each vase featuring diamond cut patterning for a wonderful decorative effect. This set of vases will add a quirky, boho feel to your home. Perfect as they are or display each with a beautiful flower display. 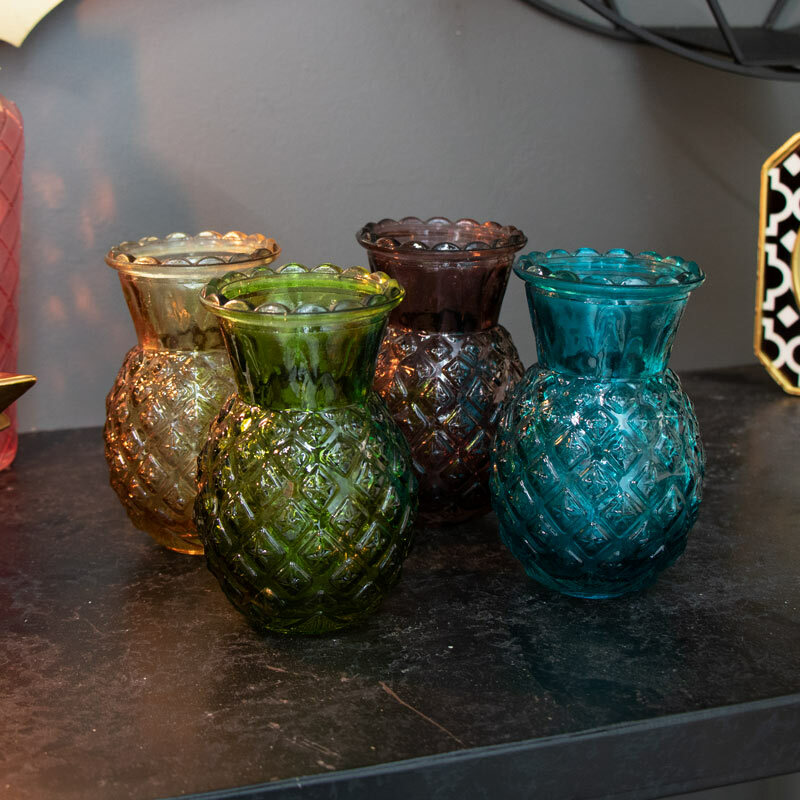 Each vase comes in a pineapple shape in blue, green, purple and orange colours. Perfect for simply using as ornaments or for creating a floral display. Add a splash of colour to your decor with these colourful vases. Four pretty colours with each vase featuring diamond cut patterning for a wonderful decorative effect. This set of vases will add a quirky, boho feel to your home. Perfect as they are or display each with a beautiful flower display. Each vase comes in a pineapple shape in blue, green, purple and orange colours. Perfect for simply using as ornaments or for creating a floral display. Made from glass with diamond cut decoration in 4 different colours - blue, green, purple and orange.